Southern Hampshire CAMRA has been running Southampton Beer Festival since 1997. The first 20 events were at Southampton Guildhall and in 2017 Southampton Beer Festival moved to St Mary's Stadium. In 2010 we added to this by organising an Autumn Festival, in Woolston, appropriately called Woolston Beer Festival. We repeated this the next year and it has become annual event. In 2011 we held Winchester Real Ale and Cider Festival at the end of March, returning a CAMRA beer festival to Winchester Guildhall after a gap of 28 years. This was another big success and the repeat events since then have been equally so. All the staff at our beer festivals are volunteers. Many members of Southern Hampshire CAMRA also volunteer their time to work at the Great British Beer Festival each year. To serve customers quality cask conditioned real ale. 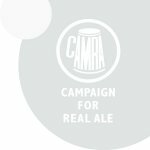 To promote real ale to the local community, therefore increasing its popularity. 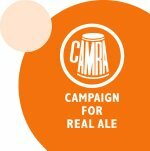 To promote membership of CAMRA, the Campaign for Real Ale. If you'd like us to email you and let you know when we're holding beer festivals then join our "beerfests" mailing list and we'll keep you informed! Just a short walk from Reading railway station, and one of the bigger festivals on the CAMRA circuit. Open: Thursday 16:30 – 23:00; Friday 11:00 – 23:00; Saturday 11:00 – 16:30 & 18:00 – 23:00; Sunday 12:00 – 19:00. On door tickets £5, £11, £10, £10, £5 respectively, on in advance. Run by CAMRA Reading & Mid Berks Branch. Our own beer festival. Three sessions, Fri 11:30 – 16:00 & 18:30 – 23:00, Sat 11:30 – 19:30, ticket prices £6 for Friday lunchtime, £10 for the other sessions and tickets are on sale now. Friday lunchtime is a 'quiet' session with no music. See the website for details. Fri 18:30 – 23:00; Sat 11:00 – 16:00 & 18:30 – 23:00. Tickets £10 inc souvenir glass & programme (£12.50 if bought in June). Card-carrying CAMRA members get a ½ pint free. Live music all sessions. Disabled access, hot/cold food available throughout. Run by Salisbury & South Wiltshire CAMRA in association with Salisbury Arts Centre & Rotary COGS. Many beer festivals take place in our branch area, or nearby, that are not CAMRA beer festivals. Despite being unable to endorse these events, we believe that any beer festival that sells quality cask-conditioned real ales should be supported (see you there!). The information given here is purely for the benefit of readers, and is accurate to the best of our knowledge. A range of real ales from around the country along with some ciders and a bar dedicated to Prosecco. Music & food too. Four sessions 19:30 – 23:30 Friday, 11:30 – 15:30 & 19:30 – 23:30 Saturday; 12:00 – 15:30 Sunday. Tickets £8, festival glass £1.50. See www.overtonbeerfestival.co.uk for all details. The 28th May Fayre Real Ale and Cider Tent. Over 30 Real Ales, Ciders and Perry. Although not a CAMRA event, the beer tent at St Mary's Church May Fayre is predominantly staffed by CAMRA volunteers. Open 10:30 – 16:30, or more likely earlier, when the beer runs out. Free entrance. All profits are donated to the church. Full details can be found at www.mayfayre.me.uk. This festival is also looking to bolster the number of volunteers helping to run it – see the Volunteers Area on the website. Benefits include food & drink on the day plus more when presentations are made later. The 3rd Bursledon Brickworks beer festival. Tickets £7 advance only and went on sale on 1st March, but have sold out already. Session is 12:30 – 17:30. The museum opens at 12:00. There will be a heritage bus service from Swanwick station. See www.bursledonbrickworks.org.uk/events.php for all details. As the title says, it is a steam rally, but our sources tell us that there is a beer tent with a good range of local beers and some ciders, though they keep quiet about that on the website www.billtargettrally.co.uk Rally open from 10:00 and entrance is £7. The regular Alton Summer Festival. Friday 19:00 – 23:00, Saturday 11:00 – 15:00 & 19:00 – 23:00, with ticket prices tba. Advance purchase is recommended. Usually over 50 real ales plus ciders, wine, live music & good food. Glasses are not provided so you must bring your own. Full details on www.altonbeerfestival.org.uk – you may wish to turn the sound down on your device before visiting! From 18:00 – 23:00 each evening. 20 Hampshire ales & a selection of Dorset ciders, live bands, hot & cold food. Tickets start at £10 including some beer tokens, discounts for early purchase. See www.thehilt.org.uk/whats-on/the-hilt--beer-fest-2019 for all details. Usually 19 beers plus their usual 7 on the bar. From 17:00 Friday and 12:00 Saturday. Barbecue, music. Sunday is an opportunity to drink up any leftovers but with the pub otherwise running as normal. See hawkleyinn.co.uk/upcoming-events-at-the-hawkley for details. Just the dates for now. Keep an eye on www.redshoot.co.uk/events for more details. If you know of any more non-CAMRA beer festivals in our branch area then please email the details to us.